ODonnellWeb – Is This Thing Still On? I'd feel guilty about not writing here for four months, but it's not like I have any readers left to notice. If you are reading this leave a comment here, or on Facebook or Twitter, just so I know somebody still visits this blog. August 19th was my 25th anniversary. Did you miss the big blog post? .....wonders how many people actually went looking for the non-existent blog post. For the last few years we've taken a long weekend trip to celebrate the occasion. This year we chose Raleigh, mainly because it's close and neither of us could take off early on Friday. So we left around 4 PM and had a romantic 25th anniversary dinner on the road, at Bojangles. Do I know how to spoil a lady, or what? Raleigh is a chill town. We stayed right downtown within stumbling distance of 50+ bars and restaurants. Over the course of the weekend we managed to catch some live jazz in a speakeasy themed joint, hang out at an Irish pub, visit the fabulous NC Museum of History and the NC Museum of Art, check out the greatest farmers market I've ever been to, and have a fabulous dinner with Mark Turner and his wife, and another friend and his wife. Not too shabby for less than 48 hours in town. Labor Day weekend was my 2nd annual camping trip with my middle brother. On the way there I stopped in Floyd, VA and had an ice cream with Fred. I've been reading Fred's blog since way back when we were two of the first bloggers in VA, circa 2001 I think. It was a real treat to move him from "Imaginary Internet Friend" to simply friend. This year we met just outside Bristol, VA at a Little Oak Campground in the Cherokee National Forest. Our campsite was lakeside. 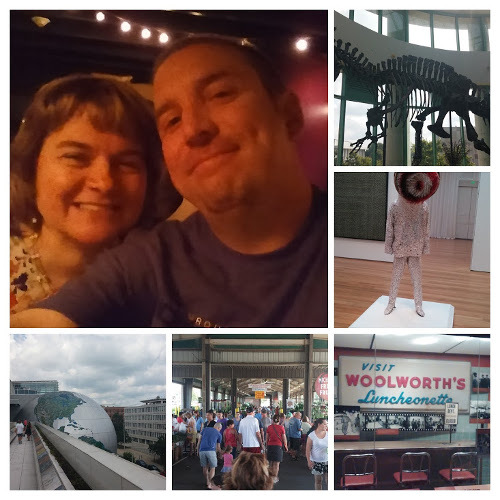 It was a perfect weekend, low 80s by day, 60ish at night, and no humidity. 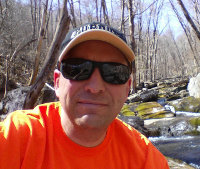 On Saturday we checked out Bristol Caverns but otherwise lounged around the campsite. I read all of Neil Gaimen's Neverwhere in the trip. I can never sit and read for 3 hours at home. I think that is an argument for much more camping next year. Also, I've got pop-up camper fever again. 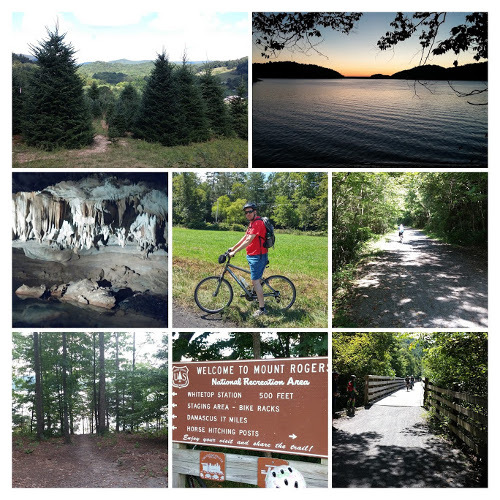 On Sunday we biked 17 miles down the Virginia Creeper trail, and by down I mean down. I probably didn't need to pedal for the first 15 miles. I was a lot of fun, A++++++++, would do again. Nights were spent tending the campfire and drinking beer. Pretty much a perfect camping weekend in my book. It turned out the grass wasn't really greener on the other side of the fence, ie. my late 2015 job change didn't work out as expected. So I changed again this summer - back to the Drupal web site world for me. Upside is that is a WFH gig, so I'm not commuting to DC. 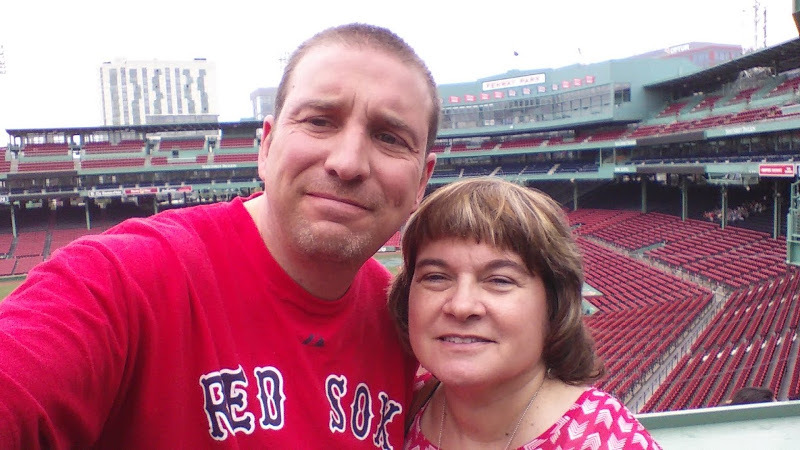 Michelle and I traveled up to Boston for a cousin's wedding, and while there took the tour of Fenway. Third year in a row something took me to Boston during baseball season. Third year in a row the Red Sox were on the west coast while I was in town. Timing really is everything. Also, we met up with a high school friend for dinner, somebody I hadn't seen in person since graduation night in 1985, so that was very cool. Coming home I-95S was so bad that Waze routed me east through Deleware then back west across the Bay Bridge. It's hard to fathom that route could save time, but I've learned to not question Waze on these things. Second guessing the app has not worked out for me in the past. 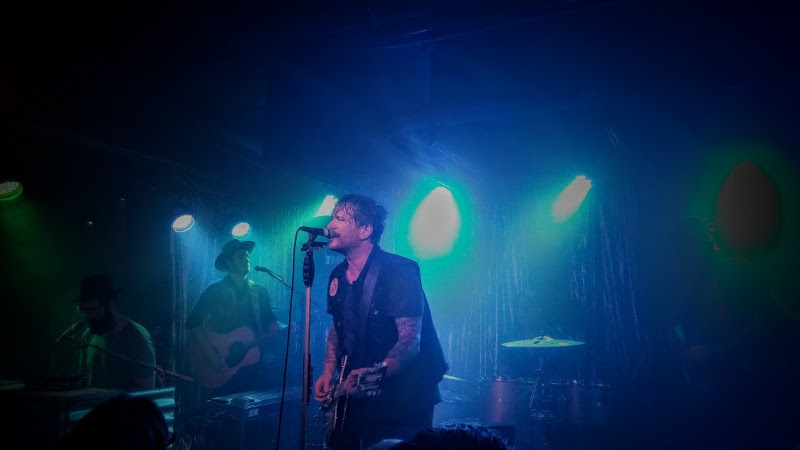 Butch Walker rolled through town on tour, and there was no way I was going to miss that. I had to go stag as both my wife and my son had to pass due to work. Another benefit of working from home, I can go to weeknight concerts and not hate myself the next day. Butch was fabulous, as always. You know, when I put it all down in a blog post I was pretty damn busy this summer. It really didn't feel like I was that busy. There is probably a blog post in that thought, something about gaining an equilibrium in my life where I can be real busy, but not rushed. Maybe I'll write that post soon.